Book festival season is approaching across the South. Find out where your favorite authors will be through October and get the car gassed up. Kicking off the season is the Mississippi Book Festival on August 19 in Jackson. Dubbed a “literary lawn party,” this one-day festival opens to the public at 9 a.m. More than 60 authors will be in attendance, and our must-see list includes Jami Attenberg, Chanelle Benz, Mark Bowden, John Gregory Brown, Taylor Brown, Robert Olen Butler, Julie Cantrell, Helen Ellis, Richard Ford, Tim Gautreaux, Ellen Gilchrist, Richard Grant, Matthew Guinn, Vivian Howard, Greg Iles, Michael Kardos, Mary Miller, Otto Penzler, Ron Rash, Michael Farris Smith, Kayla Rae Whitaker and Kevin Wilson. This festival is also great at putting authors together for interesting panels. A few that caught our eye are on the topics of Eudora Welty’s Legacy, Stories From the South, Capturing Mississippi, Larry Brown, the South, and the Modern Novel, and Southern Fiction. We attended this festival last year and one of our favorite things about it was the variety of venues. 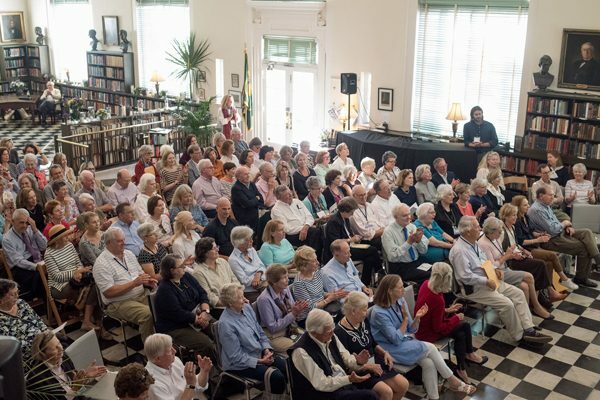 Similar to the Louisiana Book Festival (see below), many events are presented in the State Capitol, but the festival also spills out across the lawn to the Galloway Sanctuary (Eudora Welty’s church pictured), the church foundery and fellowship hall. Venues are intimate, so you can get up close to many authors. Our only complaint from last year is that some of the big names like Ellen Gilchrist and Richard Ford were no-shows, but they’re back on the schedule for 2017 so hopefully the second time’s a charm. Taking over Atlanta on Labor Day weekend is the AJC Decatur Book Festival, the largest independent book festival in the country held in downtown Decatur square. 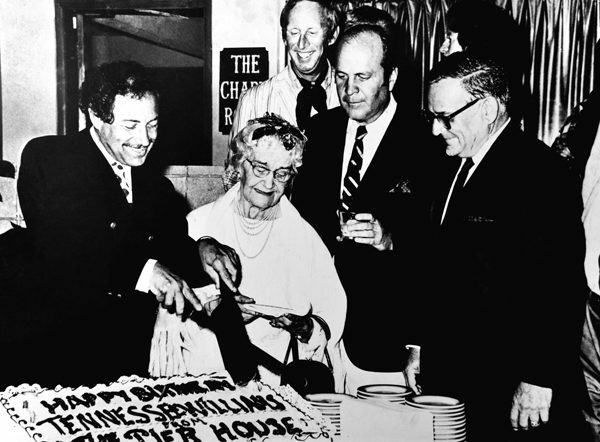 Mary Kay Andrews, Annie Barrows, J.T. Ellison, Zoe Fishman, Charles Frazier, Kristy Woodson Harvey, Patti Callahan Henry, Joshilyn Jackson, Elizabeth Kostova, Alexandria Marzano-Lesnevich, Claire Messud, Megan Miranda, Mary Alice Monroe, Tom Perrotta, Nicole Seitz, Christopher Swann, Karen White and Lisa Wingate will all be there September 1-3. (See the full author list here.) Panels haven’t been announced yet, but the keynote speech will be on the importance of journalism and headlined by National Public Radio host Brooke Gladstone. 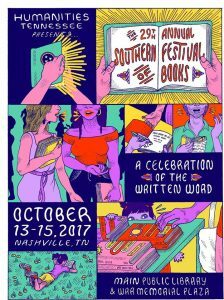 In Nashville, the Southern Festival of Books is happening October 13-15 at War Memorial Plaza and Main Public Library. Welcoming more than 200 authors, this festival has Jami Attenberg, Annie Barrows, Chanelle Benz, Chris Bohjalian, Wiley Cash, Sarah Dessen, Jennifer Egan, Amy Engel, Tim Gautreaux, Michael Knight, Bren McClain, Tiffany McDaniel, Ron Rash, Michael Farris Smith, Christopher Swann, Kayla Rae Whitaker, Nick White, Kevin Wilson and Ben Winters on its roster. Specific events will be announced soon. 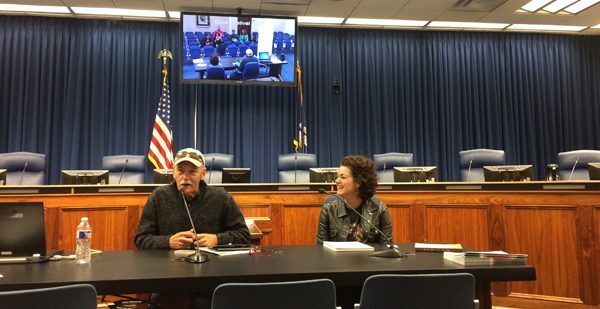 A one-day festival that could really span three days, the Louisiana Book Festival will take place Saturday, October 28, at the State Capitol in Baton Rouge. 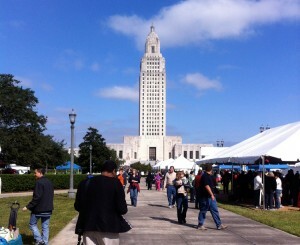 Like the Mississippi festival, you can see authors in spaces like the House and Senate chambers but also smaller venues like the State Library on the grounds or under outdoor tents, where booksignings are held. 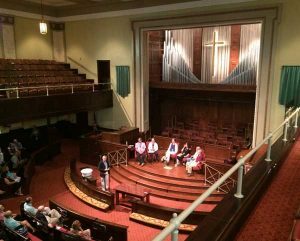 We’re a bit biased as a media sponsor, but this festival gets bigger and better each year, attracting more names in Southern fiction and presenting insightful panels. If you can’t make it to one of the other festivals to see Nick White, Taylor Brown, Joshilyn Jackson, Michael Knight, Michael Farris Smith or Patti Callahan Henry, then you can meet them all together at one place in Louisiana. Also on the 2017 roster are J.C. Sasser, Daniel Wallace, Richard Peck, Pulpwood Queen Kathy Murphy, Nasty Women Poets, Lauren K. Denton, Beth Ann Fennelly, Jeff Zentner and Steve Yates. The festival’s writing WordShops, which are an amazing deal if you can take the time on Friday, October 27, are also back, and we hear Joshilyn Jackson and Michael Farris Smith will be teaching this year. All of these festivals are free and open to the public. Stay tuned for more details on panels and exact lineups as information is released. For now, get at least one of them on your calendar and start collecting books to be signed.